Dan Keplinger, an artist featured in a memorable Super Bowl commercial and the subject of an Oscar-winning short film, will display and discuss some of his work at 6:30 p.m. Monday, April 3, at Middle Georgia State University's Peacock Gallery in Russell Hall on the Cochran Campus. This event, part of the 2017 Arts Festival sponsored by MGA's Media, Culture and the Arts department, is free and open to the public. In addition, Keplinger will present some of his techniques and work on a pochoir print from 1:30 to 5:00 p.m., Wednesday, April 5, in the studio in the Arts Complex (room 236) on Middle Georgia State's Macon Campus. This interactive studio day is open to the public. MGA art students will be in the studio assisting him during the day. Keplinger is the featured guest at this year's Arts Festival,which also included a reading by award-winning poet Anya Silver, a book binding demo/interactive art class with artist Amy Pirkle, and a discussion of filmmaking with Lauren Cater. The Academy Award-winning film that features Keplinger, King Gimp, will be screened at 5:30 p.m. Monday, March 27, in room 140 of the Arts Complex Theatre on the Macon Campus and at 5:30 p.m., Monday, March27, in room 130 of Dillard Auditorium on the Cochran Campus. 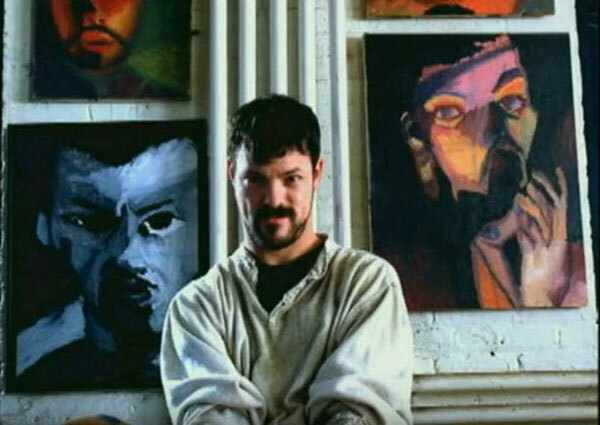 The documentary, a portrait of the artist who must use a paintbrush attached to his head due to his cerebral palsy, won the 2000 Academy Award for Best Short Subject. In 2001, the company then known as Cingular featured Keplinger in an inspirational commercial that aired during the Super Bowl. • King Gimp screenings, 5:30 p.m. Monday, March 27, in room 140 of the Arts Complex, Middle Georgia State Macon Campus, and 5:30 p.m., Monday, March 27,room 130, Dillard Auditorium, Middle Georgia State Cochran Campus. King Gimp follows the life of artist Dan Keplinger of Towson, Md., who has cerebral palsy. King Gimp is a 1999 documentary that was awarded the 2000 Academy Award for Best Short Subject Documentary and2000 Peabody Award. The film follows the life of artist Dan Keplinger of Towson, Md., who has cerebral palsy. Keplinger was 13 when the filmmakers met him as part of their federally funded documentary projects on mainstreaming children with disabilities. The cerebral palsy means Keplinger has little control over the muscles of his arms, legs or mouth. He uses a paintbrush attached to his head to paint. He could neither speak nor dress himself when the filmmakers met him. As described in an article in the Baltimore Sun,"They recorded Keplinger's move from a state school for disabled children into Parkville High School. They filmed him moving from his mother's home into his first apartment. His first art show, his friendship with a young woman hired to help him with homework, his senior prom and his tears at his college graduation -- all were captured on film. King Gimp was the name neighbors gave him as a child because his house was on the top of a hill and he liked to roll down it in his wheelchair. A fighting spirit, he calls himself." • Poetry reading by Anya Silver, 7 p.m. Tuesday, March 28, Arts Complex Theater, Middle Georgia State Macon Campus. Silver is the author of three books of poetry, The Ninety-Third Name of God, I Watched You Disappear, and From Nothing,all published by the Louisiana State University Press. Her work has been published in many literary magazines, including Image, The Harvard Review,The Georgia Review, Five Points, Crazyhorse, New Ohio Review, Witness, The Christian Century, Poet Lore, Prairie Schooner, Southern Poetry Review,Shenandoah, and many others. Her work is included in Best American Poetry 2016. Her poems have been featured on Garrison Keillor's "The Writer's Almanac," in Ted Kooser's syndicated column, "American Life in Poetry," as an Academy of American Poets' poem of the day, and on“Poetry Daily.” Her poems have been anthologized in several books. She was named Georgia Author of the Year/Poetry for 2015 and currently teaches at Mercer University. She shares her life with her husband, son and cockapoo. Since 2004, she has been living and thriving with inflammatory breast cancer. •"Improvisation in Film-Making" lecture by Lauren Cater, assistant professor of Film Production at MGA, 6 p.m. Wednesday, March 29, room 140, Arts Complex, Middle Georgia State Macon Campus. Lauren Cater received her Master of Fine Arts in Documentary Studies and Production from the University of North Texas. She has worked as a filmmaker for nine years and has been featured in various film festivals and conferences. Lauren Cater works in both fiction and non-fiction with topics focusing on southern small towns, LGBTQA community, mental health, myths, and recreating reality through cinematic time and space. •Book-binding demo/interactive art class with Amy Pirkle, 4 p.m. Thursday, March30, room 236 A, Arts Complex, Middle Georgia State Macon Campus. Pirkle has taught at the University of Alabama since2006. At Penland School of Crafts in 2011, Pirkle taught a course combining etching and letterpress printing techniques. In 2010 she served as Penland’s Master Printer in Residence. She assisted master printers at Pace Editions in New York in the summers of 2010 through 2013 and presented talks on book arts topics at Mercer University, Penland, Spring Hill College, SAMLA and SECAC. Her work was published recently in 500 Handmade Books: Volume 2.She regularly exhibits her prints and handmade books in regional, national and international exhibitions and her work is in numerous national collections including UCLA’s Art Library; Swarthmore College Library Special Collections;Joan Flasch Artists’ Book Collection at the Art Institute of Chicago; Yale University’s Faber Birren Collection of Books on Color; Rhode Island School of Design’s Library Special Collections and The Millard Sheets Library of Otis College of Art and Design. • Dan Keplinger will discuss his art at 6:30 p.m. Monday, April 3, Peacock Gallery, Russell Hall, Middle Georgia State Cochran Campus. Keplinger is an artist who must use a paintbrush attached to his head due to his cerebral palsy. He was the subject of a documentary that won the 2000 Academy Award for Best Short Subject. In 2001, the company then known as Cingular featured Keplinger in an inspirational commercial that aired during the Super Bowl. Keplinger's art will be displayed at Peacock Gallery through Friday, April 7. Keplinger's website is at http://www.kinggimp.com/. For more information about MGA's Arts Festival events,contact Dr. Sara Hughes at sara.hughes@mga.eduor Lee Simmons at lee.simmons@mga.edu.Campus maps and directions are at http://www.mga.edu/about/maps.aspx. The Arts Festival is sponsored by MGA's Office of Student Life and hosted by the Media, Culture & the Arts department.